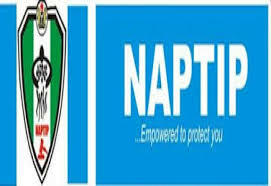 NAPTIP decries death of 26 young Nigerian girls on the Mediterranean Sea – Royal Times of Nigeria. The National Agency for the Prohibition of Trafficking in Persons (NAPTIP), received with great sadness, the news of the death of 26 young girls reported to be Nigerian girls while crossing the Mediterranean Sea to Italy. The 26 girls were among the 375 migrants said to be aboard a Spanish Warship, Cantabria, which docked at the port in the southern Italian city of Salerno. A statement signed by Josiah Emerole, Head, Press & Public Relations, said the Director-General Dame Julie Okah-Donli and the entire Management are saddened by this unfortunate occurrence which has cut short the lives of the young women in their prime and in very painful and suspicious circumstances. The statement reads, “The deaths are untimely and unwarranted. What has happened is one of the negative effects of embarking on desperate, dangerous and illegal journeys in the guise of seeking for greener pastures abroad. 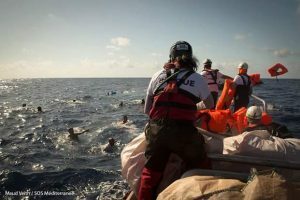 In the past few years, the Agency has mounted awareness campaigns against human trafficking and illegal migration and has consistently persuaded fellow citizens to resist any temptation of embarking on such dangerous and life threatening journeys through the desert and the Mediterranean Sea. “While praying for the repose of the souls of the departed, we all should learn lessons from this unfortunate occurrence and join hands with NAPTIP to stop human trafficking and irregular migrations from our country. “For us as an Agency we will engage with the Italian authorities on this, with a view to knowing the Nigerians identified to be involved in trafficking our people through this dangerous route so as to apply the laws against them.